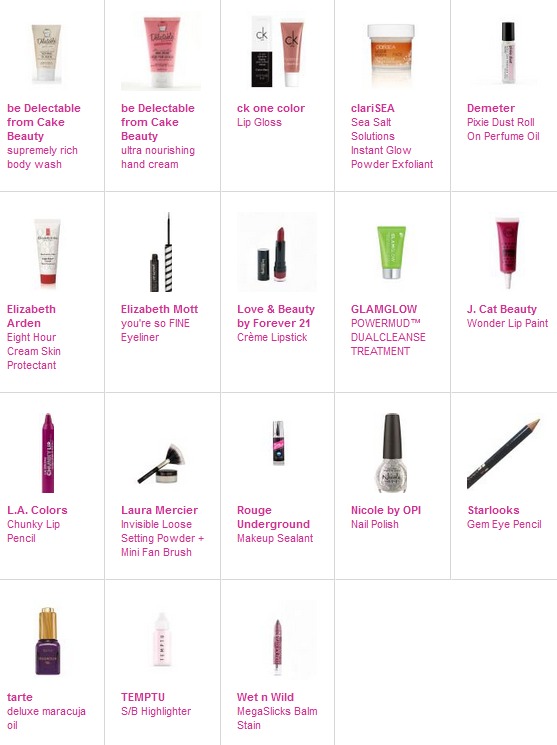 I know some bloggers aren't happy with the new early Glam Room access that Ipsy has been doing for the past few months, but I have to admit that I kind of love it. I've always been the type of girl who reads the last page first, so if I can find out exactly what I'm getting before it comes I'm going to peek. I never was a big fan of surprises, to be honest... though I do like to dish them out. 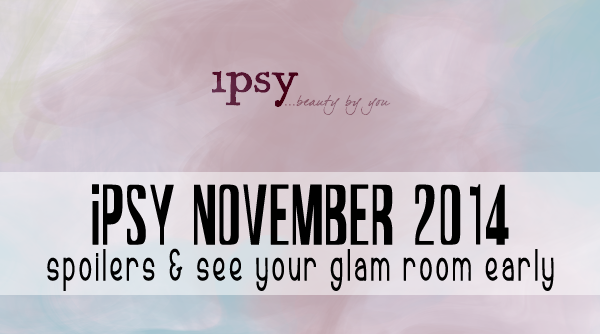 So without further adieu, since I don't have anything else of interest to say, click below to take a look at my Glam Room as well as the other products on offer this month! This was the first spoiler that we received this month and it was promising. 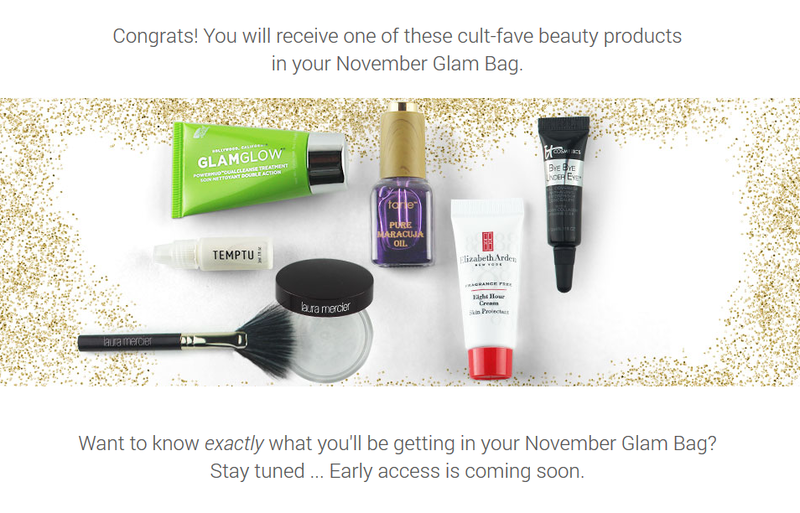 Considering how unhappy so many people have been with Ipsy for the past few months, this had a hell of a lot of promise. Now, I was actually 50/50 on which of these items I actually wanted to be included in my bag. I already have sample sizes of the Tarte Maracuja Oil and the Laura Mercier Setting Powder that I don't seem to be getting through with any kind of speed, so it seemed like a waste to me, and I had no interest in the Temptu Highlighter because I don't tend to really use cream highlights. The other three, however, held pretty big appeal. I've always wanted to try the Eight Hour Cream, if only because it's been such a huge cult favorite for so many years, and I've heard great things about both the IT Cosmetics Bye Bye Undereye and literally all of the GlamGlow masks. Really, any of those three would have gotten me really excited... which was why I was so sure I was going to be getting one of the other three. Thank god I was wrong in my pessimism! However... See below. Not a bad bag, right? My one beef is the shade of the concealer. For someone as fair as me who prefers a brightening concealer under my eyes, I feel like there's no way in hell that this is going to work. Honestly, I don't understand why they would choose a medium shade for everyone who received this product. I'm pretty sure my profile says that I'm fair skinned... So. Yeah. Fail, Ipsy. But I'm going to hold out hope that I'm wrong. I may contact them if it's just completely unusable. Not gonna lie, there are a few things on offer for this month's bag that I am so glad I didn't get, but I won't name names. I feel like this is going to be one of those months when people are either really happy with their bags or generally hate them... that's my prediction. I can't help but wonder, considering the disappointment I've seen going around lately, if subscriptions are falling. Seems to me like a lot of people are pretty much over it these days. Hmm. Look for my unboxing (unbagging?) probably next week when the bag arrives!